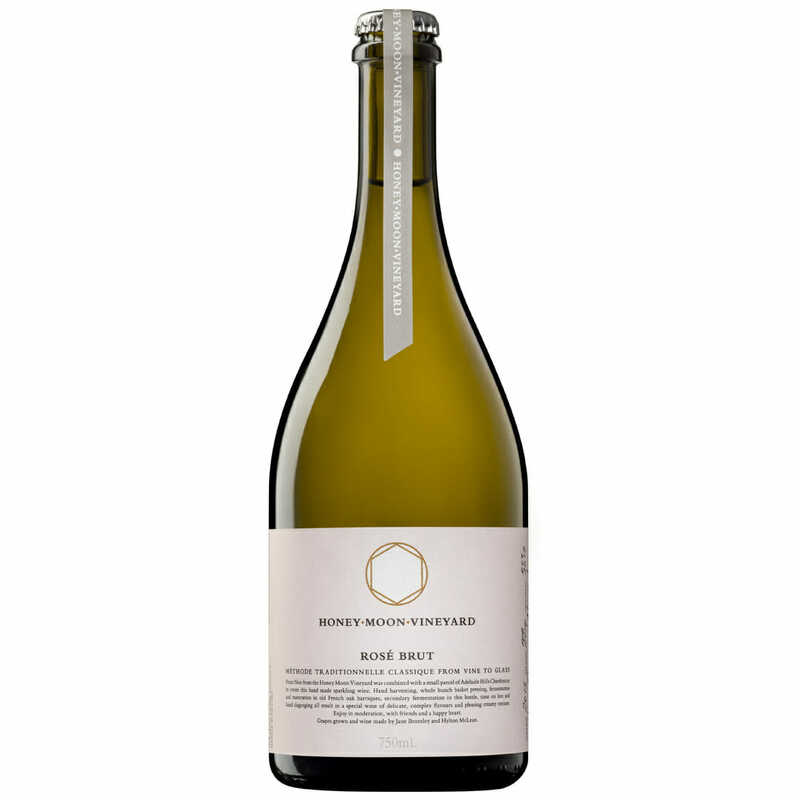 This is a Méthode Traditonnelle sparkling wine, based predominantly on Pinot Noir from the Honey Moon Vineyard (80% of the cuvée) combined with Adelaide Hills Chardonnay (20%). It is pale rose pink in colour and has delicious aromas, flavours and a lovely creamy texture – a culmination of the flavours in the grapes, fermentation in very old French oak barriques and, at the time of writing, close to 4 years on yeast lees. The wine is disgorged by hand, on demand. The Adelaide Hills region grows some beautiful Chardonnay and we seized the opportunity that the mild 2017 vintage provided to craft a fine Chardonnay, using really exquisite fruit from two great sites (the Chapel Valley (Piccadilly) and the Anderson (Charleston) vineyards). The fruit was hand harvested and whole bunch pressed, with only the cuvée fraction used, and fermentation took place in old, French oak barrels (to give complexity but not overt oak characters). Only 12% alc/vol. Further information is provided in the tasting note. 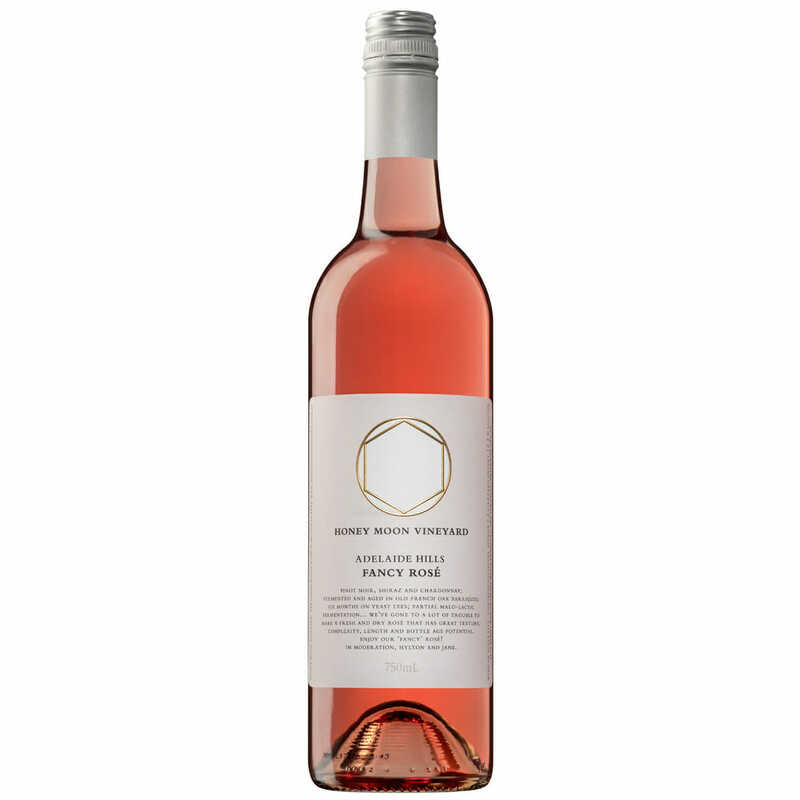 This rosé was made in the vineyard first – by early harvesting of Pinot Noir and Shiraz from suitable sections of our vineyard and by sourcing delicate Chardonnay from cool Adelaide Hills sites. We then turned to our love of Chablis-style Chardonnays – fine, textural and refreshing – to guide our winemaking. Our intention was to make a rosé that would combine lovely fresh new season fruit and good acidity, with good flavour on the mid-palate and a silky texture … plus we wanted the wine to evolve nicely over the next 5 years or so. The 2017 vintage provided near-perfect conditions for this. Our pinot …is made entirely from our own estate-grown grapes; vines are cane-pruned by hand; always hand harvested; fermented in small open fermenters, mix of wild and selected yeasts, some with whole bunches, all hand plunged; pressed off in our basket press; matured in French oak (various coopers; mix of new, second/third-use and older, depending on the vintage). This pinot is from a classic Adelaide Hills vintage (good winter rainfall (in 2014) /dry growing season with mild temperatures (2015)). It comprises four pinot noir clones: 777, 114, 115 and MV6 from the Honey Moon Vineyard. 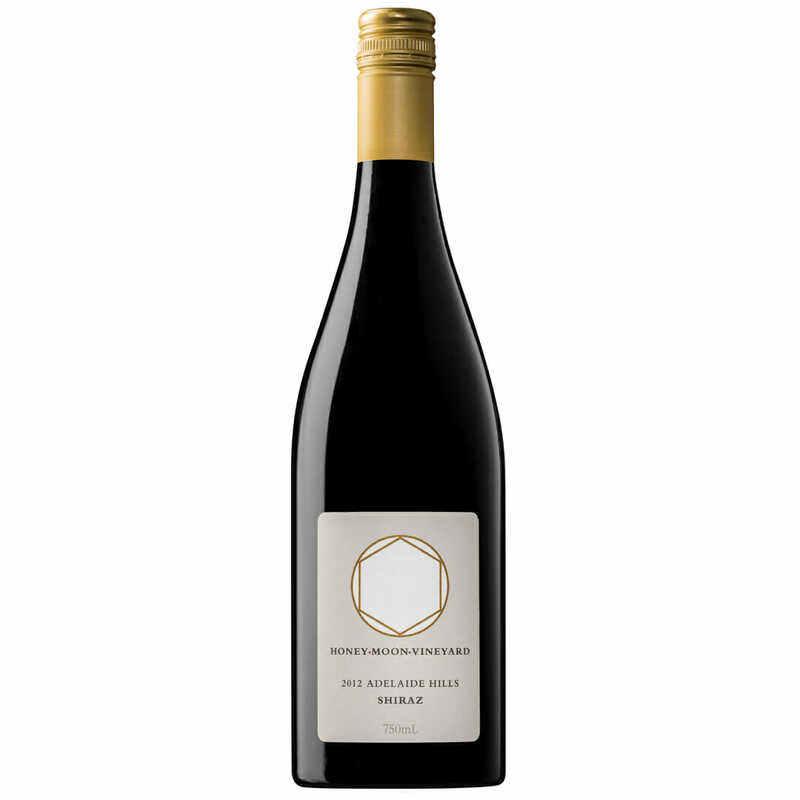 Consistent with our “Pinot~extra” style, we set out to make a pinot that captured the purity of fruit flavours and acid balance, as given to us by our vines, and to frame this in a wine with structure – that would drink well in its youth and also evolve beautifully over the ensuing decade or so. A touch of new French oak (14%) was included for barrel maturation. This wine has attracted a number of medals from capital city wine shows and the International Cool Climate Wine Show. This Pinot is the first to include the GM18 pinot clone (grown on site). We think that this adds an extra dash of savoury notes and contributes extra palate length, and sits well with the fruit, perfume and silky tannins contribute by the other clones 777, 114, 115 and MV6. The flavour profile and intensity of the wine allowed us to use a little more new French oak than we typically do (28%). 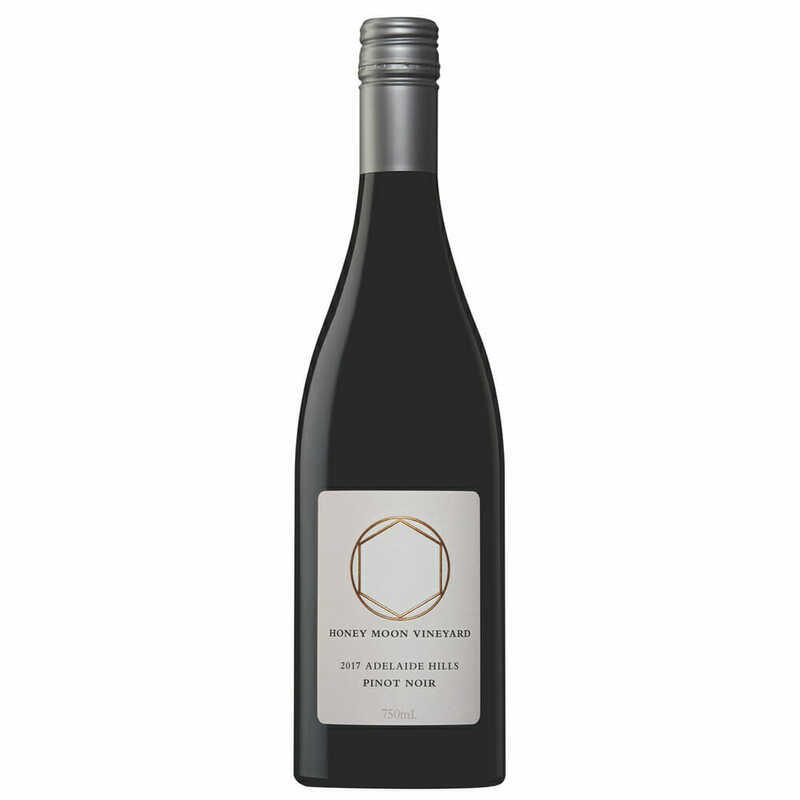 As well as attracting medals from wine shows (capital city, local and the International Cool Climate Wine Show), it was also selected as one of the Adelaide Review Hot 100 Wines 2017/2018. We have observed over the years that our pinot vines are very responsive to different vintage conditions. The 2017 vintage was distinctly cool (and late – we picked our pinot four weeks later than normal) and yielded intensely perfumed but delicately flavoured fruit. The vintage felt really different and we eagerly awaited the “Pinot Fairy” to pop along and sprinkle her magic. She did – sometime during the winter of 2018 – and we are delighted with the outcome. The resultant wine is, to us, noticeably different in style compared to our line of more structural, deeper-coloured Pinot Noir~Extras (of 2016, 2015, 2014 and 2013) and we have chosen to signal this season-related departure in style by not using the ~Extra tag. Our shiraz – WINE OF PROVENANCE, Adelaide Hills Honey Moon Vineyard was awarded the inaugural Trophy for Best Wine of Provenance at the 2017 Adelaide Hills Wine Show for its history of excellence in making cool climate shiraz wines in the Adelaide Hills. (2007, 2012 and 2015 vintages were judged for this award). Our shiraz comprises massale clonal selections from two old SA vineyards known for their spicy Shiraz characters. The grapes are entirely our own estate-grown; vines are cane pruned by hand; always hand-harvested; fermented in small open ferments; all hand plunged; pressed off in our basket press; matured in French oak. The growing season in 2012 provided conditions for exceptionally high quality grapes and is recognised as a grand vintage in the Adelaide Hills. Our grapes were particularly intense in flavour and colour and we used early 50% new French oak to complement what the vineyard had given us. 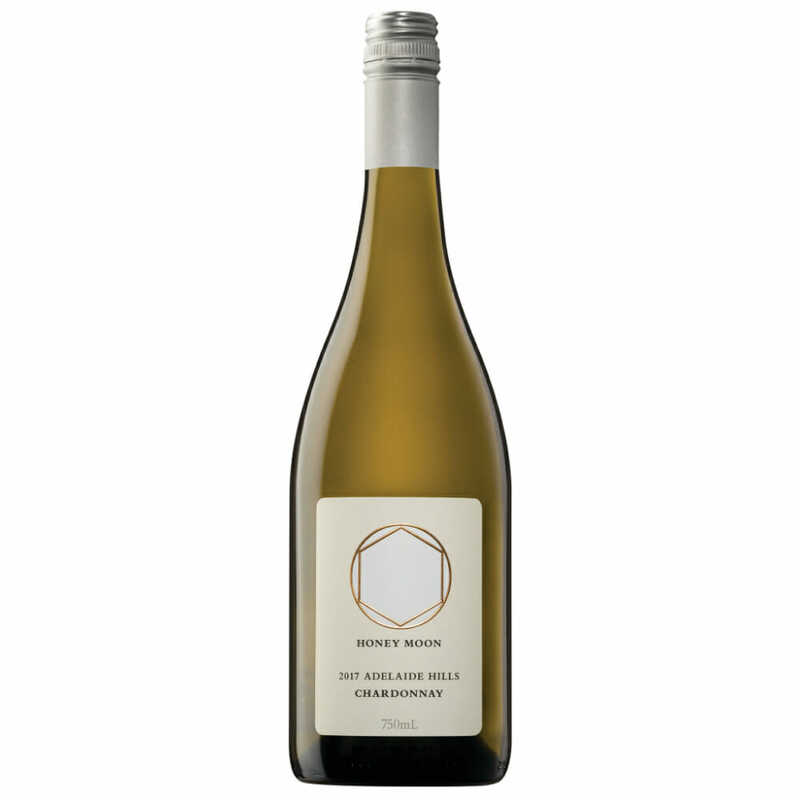 This wine has won multiple wine show trophies and medals, earned 96 points from James Halliday and was included in the Adelaide Review Hot 100 wines 2015 – 2106. In addition, Honey Moon Vineyard was awarded the inaugural Trophy for Best Wine of Provenance at the 2017 Adelaide Hills Wine Show for its history of excellence in growing and making Adelaide Hills Shiraz wines. The 2012 was part of the trio of vintages (along with the 2007 and 2015) that were judged for this award. The 2013 growing season was characterised by very mild conditions and a dry ripening period throughout Autumn, which enabled us to harvest grapes with intense cool climate Shiraz varietal flavours, sweet “noble” tannins and great acid balance. Our intention was to make a cool, elegant, Shiraz that would be refreshing on the palate and harmonious with a range of cuisine. This wine has won many medals from wine shows (capital city, local and the International Cool Climate Wine Show) and, being a shiraz wine from the Honey Moon Vineyard, is also distinguished as wine of provenance. The cold weather during November and December 2013 affected flowering and fruit set, which gave small bunches and small berries. The small berries were ideal for red winemaking and the small crop ripened during a dry Autumn with mild days and cool nights. The low production was more then compensated for by the high quality of the grapes. The wine tastes of summer berries and plums, which are complemented by refreshing spicy notes and a soft velvety mouthfeel. 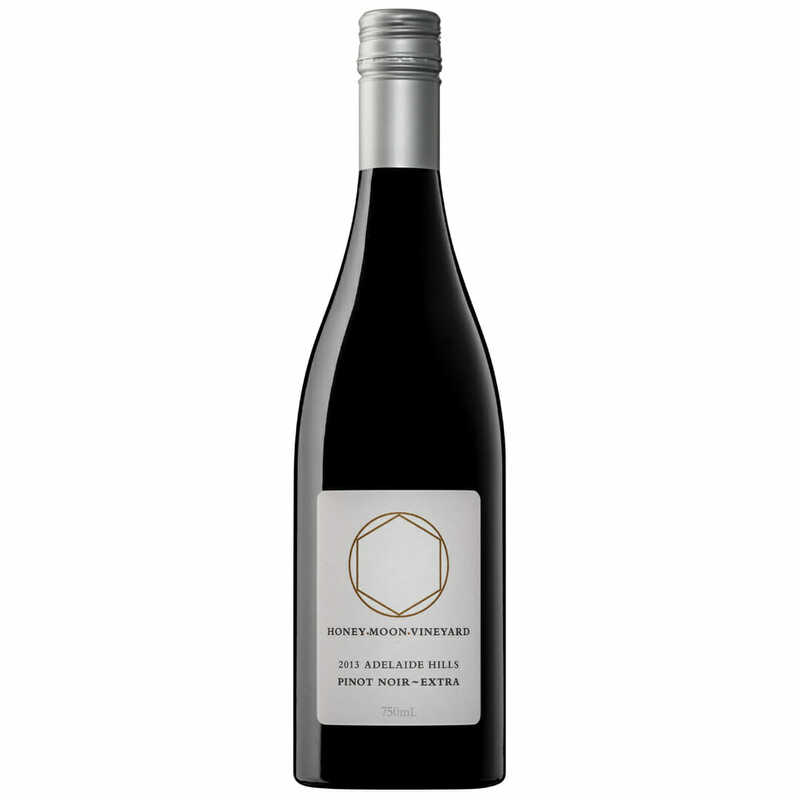 This wine has won many medals from wine shows (capital city, local and the International Cool Climate Wine Show) and, being a shiraz wine from the Honey Moon Vineyard, is also distinguished as wine of provenance. Rain over the winter of 2014 was above average, thankfully, as the subsequent growing period in 2015 was one of the driest on record. However, it was also mild and this allowed our vines to produce healthy canopies as well as for flowering and fruit set to proceed well. Harvest was a very happy occasion – healthy, moderately sized, bunches with small berries – which produced well-developed flavours, balanced by good acid levels and excellent colour. We set out to preserve the varietal fruit expression, acid structure and fine tannins evident in the grapes and to complement this with a harmonious selection of French oak, to arrive at a wine that would be very approachable in its youth but would also be able to age long and gracefully. This wine has won many medals from wine shows (capital city, local and the International Cool Climate Wine Show). In addition, the 2015 was part of the trio of vintages (along with the 2007 and 2012) that were in the judging for our award for the Trophy for Best Wine of Provenance at the Adelaide Hills Wine Show in 2017. This is a sweet, white, fortified wine based on late harvested Adelaide Hills Grüner Veltliner sourced from a cool site in the Adelaide Hills. 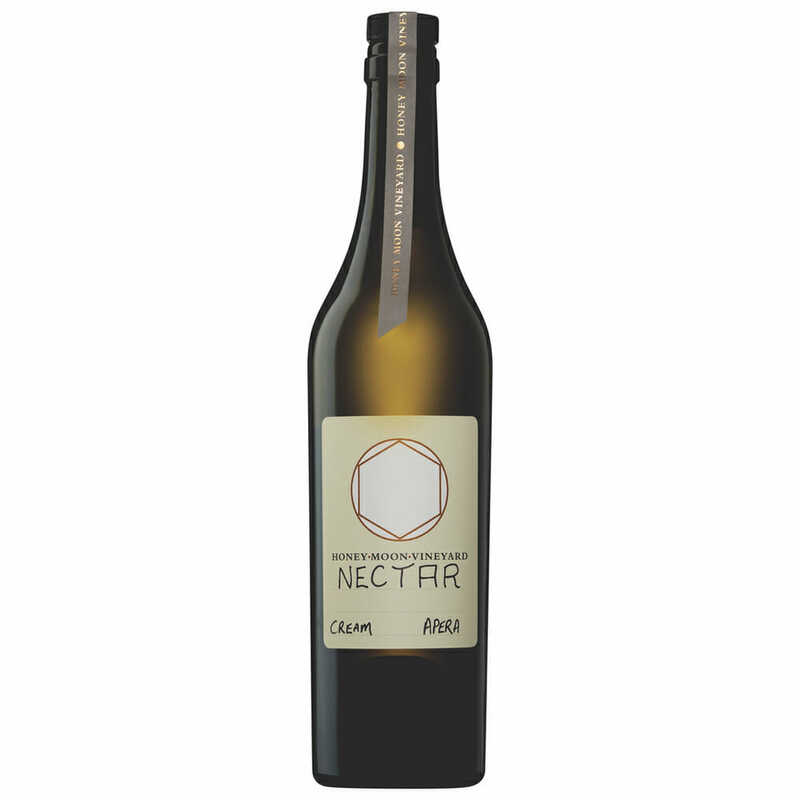 Our take on “cream sherry” but showcasing the gorgeous honey and pear notes of extra ripe Grüner. Definitely deliciously sweet but also refreshing. Serve chilled either as an aperitif or as a dessert wine; moreover, also goes well with many savoury dishes. 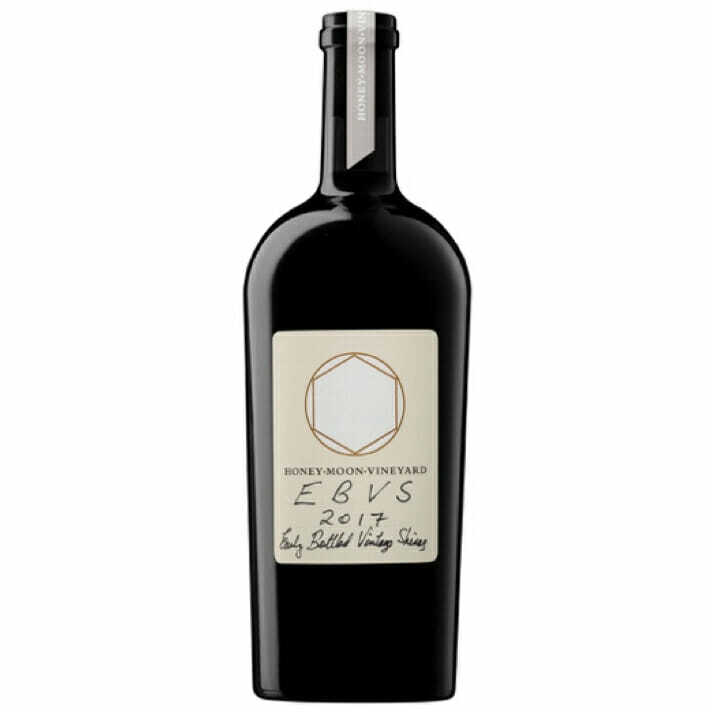 “EBVS” = Early Bottled Vintage Shiraz. This is our take on a vintage port-style fortified wine. Shiraz from the top (driest) section of the Honey Moon Vineyard was left to ripen late into the season. Fortification took place on skins, using estate wood-aged brandy spirit. While noticeably sweet, it is also relatively dry on the finish, consistent with the style. Raspberry and spicy Shiraz characters combine with liquorice and chocolate notes from the spirit to make this a delicious and complex wine. Good with hard cheeses; equally good with dark chocolate! This is a sweet, red, fortified wine. While definitely sweet, it is also elegant and complex. It comprises multiple vintages (the first from 2009), each matured in small oak barrels. These small parcels of wine have now been blended together and racked into larger 70 year old fortified wine barrels to make our Classic Tawny NV. Typically served at the end of a meal with dried fruits and cheese., this wine can also work well as an aperitif (even slightly chilled) and paired with savoury/sweet morsels. Further information is provided in the tasting note.